The Pickerington Area Chamber of Commerce is a member organization uniting business entrepreneurs, professionals, government, and the community. The Chamber provides a vital link to support local businesses through advocacy, networking, education, marketing, and leadership opportunities. Join today. Check out the Chamber's Events Calendar. How long has Fifth Third Bank done business in the Pickerington area? 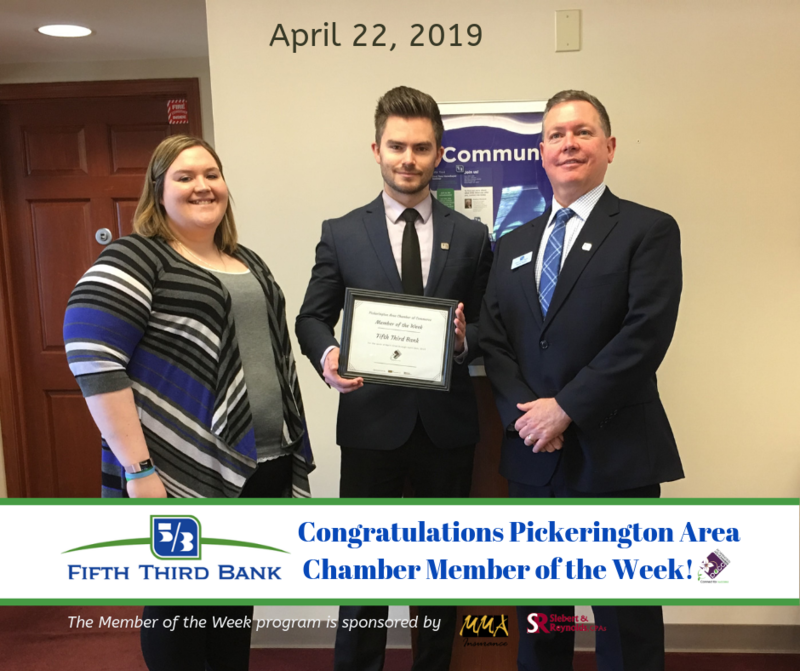 Fifth Third Bank has done business in the Pickerington area for at least 20 years! Provide us with a brief summary of your services. We are a customer relationship bank. Our customers are the center of what we do. We offer our financial expertise and a complete suite of banking products - including ID protection - to help our customers find solutions to their banking needs. Anyone can come in at any income level and receive the same personal service. Fifth Third Bank prides itself on our relationships with our customers. We think of ourselves as a large-scale, family bank where our customers are part of our family. Tell us about your business's mission and values. Our goal is to be the one bank that is most trusted and valued by our customers. We are here to help, rather than sell. What makes Pickerington such a great place to do business? Pickerington is a up and coming community where people truly want to do well for themselves and the town. The people are friendly. There are a lot of small businesses and much opportunity for growth. This makes Pickerington a great place to do business. Our Platinum Partners understand the importance of investing in advocacy, education, and the Pickerington Area for future generations. Their investment in the Chamber is an investment for years to come. Together, we ignite new growth, inspire leadership and advance our economy. We are grateful for their support and we invite you to get to know them.